Winfred Claude Shafer was born in Little Hocking, Ohio, on January 7, 1878, according to a passport application, World War II draft card and Who Was Who in American Art 1564–1975 (1999). However, the Ohio Birth and Christening Index, at Ancestry.com, said Shafer was born in Belpre, Ohio, which is 8 miles/12.9 kilometers west of Little Hocking. The index also had Shafer’s full name. An Ancestry.com family tree said his parents were Henry W. Shaffer and Susan Lovisa Davis. The 1880 U.S. Federal Census recorded Shafer, his parents and younger brother Francis in Parkersburg, West Virginia on Labrobe Street. The Cincinnati Post (Ohio), March 16, 1914, revealed some details about Shafer’s childhood, education and art training. …At a very tender age Claude displayed signs of the drawing talent that has since won him recognition. That boy was always a drawer. He took his parents by the hand and drew them from the family homestead, in Washington-co., near Little Hocking, O., Cincinnati. He has been drawing, here and there, ever since—salaries, and raises, and attention. And, of course, cartoons. Well, to get back—one of the early achievements of young Claude in Cincinnati was to become a newspaper seller. You may recall him, darting about Peebles Corner, crying his wares—The Post. At the age of 9, he entered art school. He was the youngest pupil. The teachers in the public schools paid his tuition because they recognized his ability, and wanted yto see it developed. He attended the art school four years. After that he had to go to work. It was then he got the job as messenger boy. Then he entered the brick yard. Finally he was employed in a jewelry store, in the Arcade. he remained nine years. …He has been a wage-earner since he was 13. And we forgot to mention that for five years, during which he grubbed during the day, he went to art school at night. Cincinnati Curiosities said Shafer attended the Cincinnati Art Academy and his father died of cholera in 1892. Shafer’s passport application said his father died August 28, 1893. The 1900 census said jewelry clerk Shafer was a Cincinnati resident. He and brothers Walter, Cleveland, Harry were in their mother’s household at 4120 Eastern Avenue. 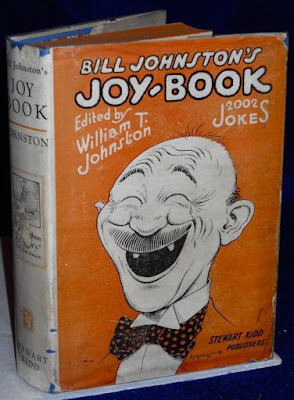 American Newspaper Comics (2012) said Shafer produced the strip Old Man Grump, for the Cincinnati Enquirer, starting July 14, 1908. Newspaper cartoonist Shafer, wife Kitty and mother-in-law Kate Wiederecht resided at 3626 Columbia Avenue in Cincinnati according to the 1910 census. The 1930 census said Shafer was 25 when he married. 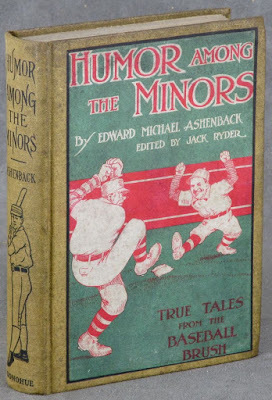 Shafer illustrated a number of books including Dorothy (1906), Bill Johnston’s Joy-Book (1922) and the cover of Humor Among the Minors: True Tales from the Baseball Bush (1911). Moving Picture World, December 1, 1917, said Universal Current Events, filmed 39 cartoonists, including Shafer. Pennsylvania in the World War: An Illustrated History of the Twenty-eighth Division, Volume 2 (1921) published a photograph of Shafer entertaining the troops. Shafer signed his draft card October 20, 1918. 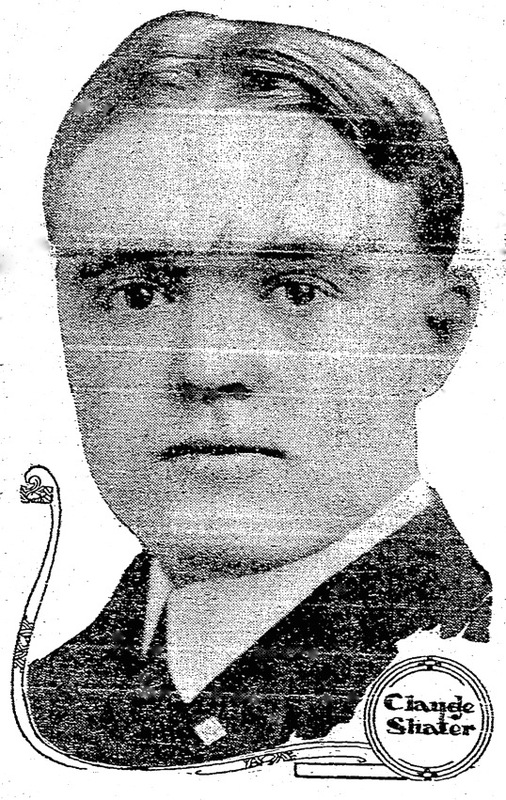 The Cincinnati Post cartoonist was described as short and stout with brown eyes and hair. One of Shafer’s war cartoons appeared in Association Men, January 1919. Two Shafer cartoons were included in the book, The War in Cartoons, A History of the War in 100 Cartoons by 27 of the Most Prominent American Cartoonists (1919), here and here. Shafer’s address and household was unchanged in the 1920 census. According to American Newspaper Comics, Shafer drew The Doodlebugs for the George Matthews Adams Service, from 1923 to 1928. Shafer and his wife returned from Europe on August 25, 1929. Aboard the S.S. Carmania, they departed from Havre, France on August 17. The couple’s address on the passenger list was 1232 Paxton Road, Cincinnati. The same address was in the 1930 and 1940 censuses and Shafer’s World War II draft card. Claude Shafer’s Cartoon Guide of Ohio was published in 1939. Included with the book was a cartoon map of Ohio which can be viewed here. Shafer passed away May 24, 1962, in Cincinnati. Several newspapers, including the New York Times, published the Associated Press report the following day. Claude Shafer, cartoonist for Cincinnati newspapers for fifty-five years, died today at his home in the Hyde Park section. He was 84 years old. Mr. Shafer went to work for The Cincinnati Times-Star in 1901. He moved to The Post the same year and worked briefly for The Enquirer twenty-five years later before returning to The Times-Star in 1926. He retired in 1956. One of his most widely known cartoon characters was Old Man Crump [sic].